If you wish to stay overnight, there’s a Holiday Inn adjacent to the stadium. Alternatively, you can find a hotel in central Oxford. The Oxford United Stadium is located in Blackbird Keys, a suburb of Oxford. It’s 4 miles from central Oxford and not served by the train, therefore you must take the bus. On Saturday’s and matchdays you can take bus 3A to the stadium. Alternatively, from Monday to Friday you can take bus 3A to Oxford Science Park and walk the rest of the way. Historically, Oxford United played at the Manor Ground in Headington. 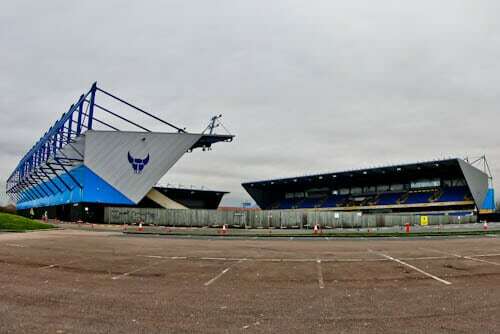 However, in 2001 they moved to the modern Kassam Stadium which is named after their former chairman. 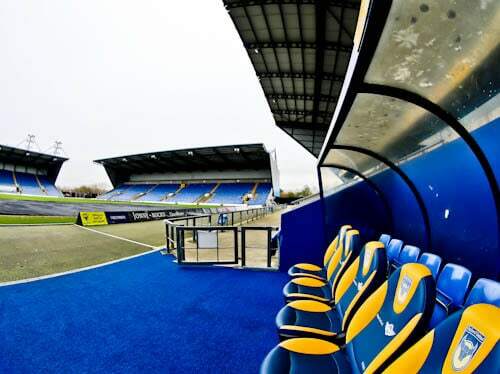 The Kassam Stadium is unique as it only has 3 stands, north, east and south. So where is the west stand? Where a west stand could be is currently a car park to a shopping mall. As a matter of fact, if you had such a desire to watch Oxford United without a ticket you could stand on your car! 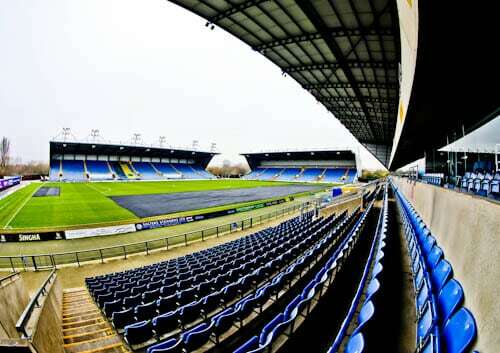 Finally, the capacity of Kassam Stadium is 12,500 spectators. 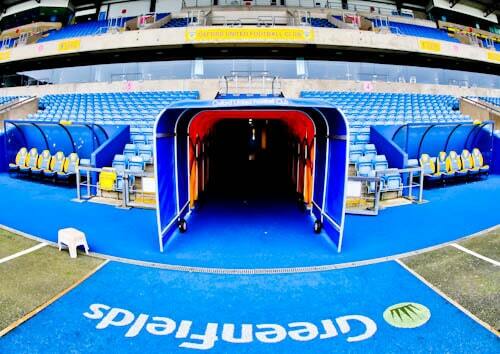 As you walk out into the Kassam Stadium, you pass through the yellow players tunnel. 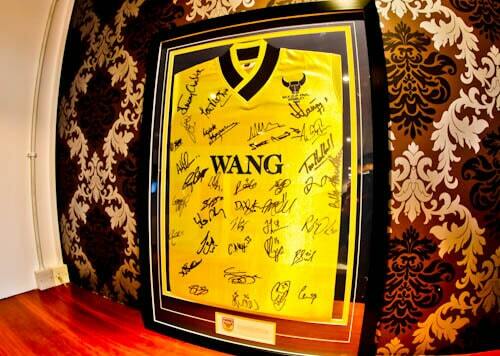 Opposing teams will know they are in the home of Oxford United. In addition, there are pictures of Oxford legends and successes to boost the morale of the home team. An interesting fact about the dugout is that the seats are sponsored by Mini. Why Mini? Because the Mini Plant is located just a couple of miles from the stadium. I recommend you take a seat here, not only because they’re comfy Mini seats but also because legends such as Sir Alex Ferguson and Pep Guardiola have sat here. Which part of the stadium has the best view? 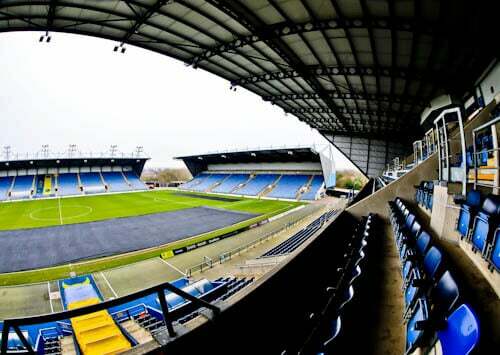 In my opinion, every seat in the Kassam Stadium offers a good view. However, the VIP section have the comfy padded seats as well as access to the VIP suite. 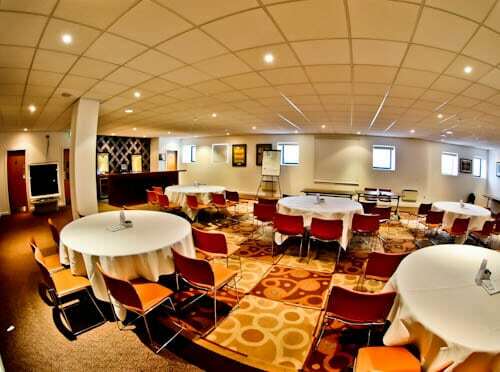 As well as access to the comfy VIP seats, the VIP members have access to the hospitality suite. This area is full of Oxford United memorabilia from historic pictures to matchday souvenirs from the day Manchester United visited. The biggest success of Oxford United came in 1986 when they beat QPR 3-0 in the League Cup final at Wembley Stadium. As a matter of fact, there’s a replica of the 1986 Milk Cup proudly on display in the trophy cabinet. Moreover, there’s a signed shirt from this period which includes the autographs of John Aldridge and Ray Houghton. Another legendary Oxford player was Ron Atkinson. The Oxford United logo is the ox head. For this reason, you’ll see the ox head all around the stadium as well as on the team shirt. 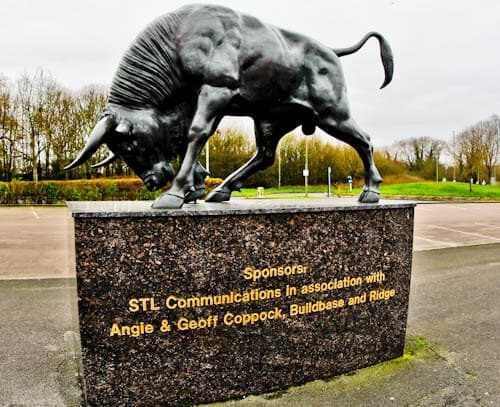 Adjacent to the stadium is an Ox statue and a photo with this is a good souvenir of your visit to the home of the Oxen. The club shop is located in the shopping mall adjacent to the stadium. I was pleasantly surprised with the quality of the merchandise. Even if you’re not a fan, I’m sure you will find a good souvenir of your visit to Oxford. Finally, there are also several restaurants as well as a movie theater in this shopping mall. Firstly, there is no official stadium tour, therefore you must politely ask at reception if you can see the stadium. As this is a friendly club, I’m sure you’ll be welcome but be respectful! Check out the Millwall FC stadium tour, another iconic 80’s team.